Get off your perch and have some fun! A chicken and an egg are lying in bed. The chicken is leaning against the headboard smoking a cigarette with a satisfied smile on its face. The egg, looking a bit ticked off, grabs the sheet, rolls over and says ... Well, I guess we finally answered "THAT question!" Once upon a time there was a horse and a chicken who were good friends. They lived on a farmyard with lots of other animals and were very happy. One day, while they were playing near the farm's pond, the horse stepped into a hole of quicksand. The horse rapidly sank and was yelling for his friend, the chicken, to save him. The chicken thought for a minute, then ran back to the farmhouse, and jumped into the farmer's 735csi BMW. Luckily, the keys were in the ignition, and the chicken managed to start the car, and put it in gear. It raced over to the sinkhole, where the horse had almost disappeared by now. The smart chicken tied a rope around the back of the BMW and threw the other end around the front legs of the horse. The chicken hopped back in the driver's seat and stepped on the gas. Ever so slowly, the horse eased out of the quicksand and jumped to safety. The horse, still on shaky legs, stuttered: "You just saved my life. Thank you!" 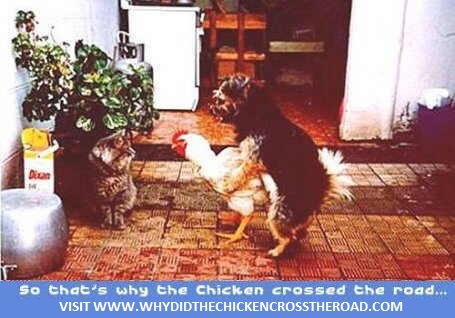 The chicken just said, "Don't mention it - That's what friends are for!!" They returned the BMW and went out to dinner together in the barn yard. A few days later, the horse got up from a good night's rest, and heard some muffled cries for help coming from the backyard. The horse followed the sounds and came upon a terrible scene. There was his best friend, the chicken, stuck in a hole of quicksand! The sand was already up to its neck-feathers and the cries for help had almost stopped. The horse took a quick look around: No rope in sight And the farmer had gone to town with his BMW. What to do? The horse took a deep breath and spread his body and legs out over the hole. His member was dangling down right above the poor chicken. "Here, my friend, grab my thingie and I will pull you to safety!". With its last bit of energy, the chicken grabbed a hold of the big horse-thingie and the horse straightened its body, pulling the chicken from its trap. With one big step, both were on solid ground and safe. The chicken slumped down on the ground, exhausted: "Now You saved my life, my friend!!" The horse just smiled. And what is the moral of this story? ... If you're hung like a horse, you don't need a BMW to pick up chicks. Take a minute to Tell a Friend! about us. Why not bookmark this site for future visits? Just press CTRL+D on your keyboard. Join Our Mailing List For A Monthly Feed Of Chicken Jokes! 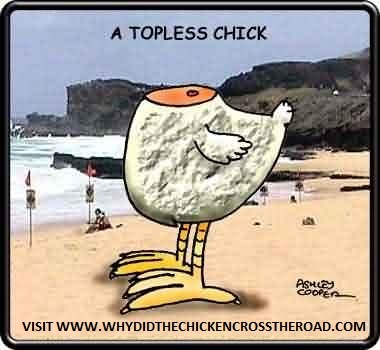 Whydidthechickencrosstheroad.com is copyright Domain-it! 1999-2019. 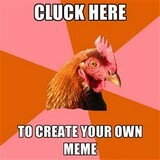 Anyone abusing the site will be in big clucking trouble!